Last Saturday I had the privilege to be a part of CINEBASH 2018 at The Atlanta Contemporary Arts Center. It was truly a pleasure to have experienced such a special evening. Not only it was a wonderful opportunity to learn about the fascinating work of Saul and Elaine Bass, Film and Design, but also a chance to collaborate with a phenomenal group of individuals who were extremely passionate about making sure we all had a memorable event. 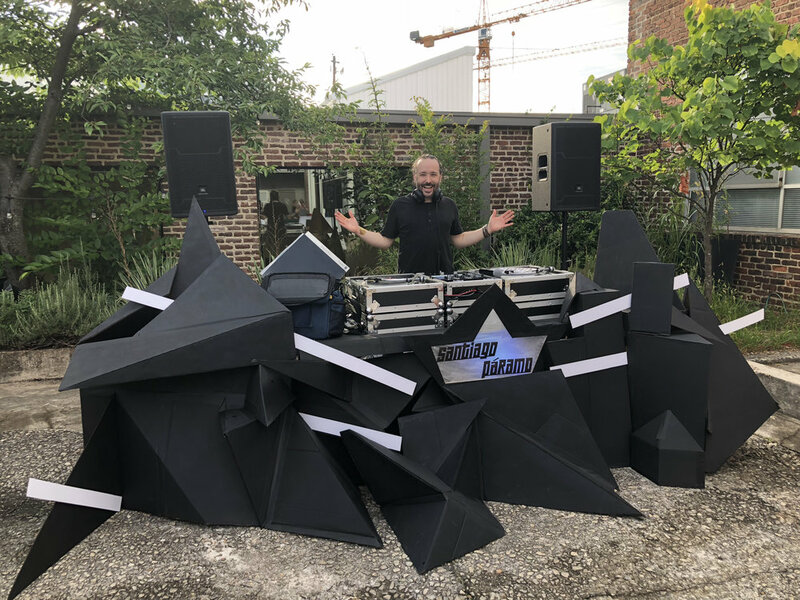 I specially want to acknowledge the work of Production Designer Danny Davis and that of multidisciplinary artist Amy Pursifull, with whom I conceptualized and built my DJ Booth as homage to the title sequence of "The Man with the Golden Arm". I am beyond grateful to The Atlanta Jewish Film Festival for trusting in my ability as a Musical Curator for this magical evening and to you, our guests, for supporting them and allowing their great work to continue enriching and inspiring our lives. Pictures courtesy of Amy Pursifull photography, Donald Felice and Vaughn Gittens.